"Mizunishiki" was a Kimono design created by one of the famous kimono company called Kobayashi Orimono. Kobayashi Orimono started in Meiji 25 (1892) in Kyoto and was famous for their exotic and beautiful kimono design. Because the design is so beautiful, they had created a brand name that was renowned for their excellence and top quality. 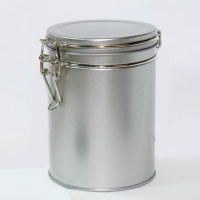 Our tin suppliers were lucky to be able to incorporate Kobayashi Orimono's famous trademark design into making a brand new line of tin design. 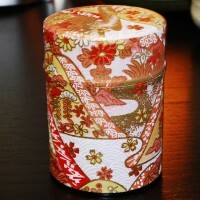 Washi Tea Tin - Ceremony Matcha Caddy Size-40 (random colors & Designs) This is the fine impor..